Are you frustrated with not being able to satisfy your partner? Well, you are certainly not alone. Hundreds of thousands of men from all over the globe report the “embarrassing” problem of not fully pleasuring their sexual partners. A large majority of these men also report feeling “inferior” and “less of a man” because of this. The average time it takes for a man to climax is 2 – 5 minutes, while the average time it takes for a woman is 20 minutes. Clearly, there seems to be mismatch. However, this doesn’t mean that we should stop looking for ways to satisfy our lovers! In fact, this is why we should start learning about how we can better improve our sexual prowess. A large part of our experience sexual experience involves how our minds interpret it. Have you noticed how you can get physically turned on simply by using your imagination? Similarly, if our minds are not sexually aroused, our bodies won’t be able to ‘perform’ as well. The key to an enhanced, more satisfying time in bed with your lover involves being able to enjoy the moment in moderation. If we get too excited and go all out to satisfy our sexual needs, the experience wouldn’t be as physically and emotionally enjoyable for both parties. 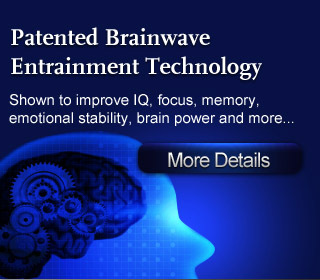 Thankfully, with today’s advanced Brainwave technology, we can now easily ‘train’ our minds to completely enjoy and enhance our love-making sessions with our partners, with absolutely no side effects whatsoever! Are you often embarrassed at how quickly you climax in bed? Do you wish to re-ignite the spark in bed with your partner? Do you often wish to be able to completely satisfy your lover’s needs, such that she keeps coming back for more? Have you often wished to be able to reconnect the physical bond between you and your partner? No reviews on D01 Male Sexual Enhancement so far.